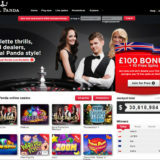 BetGames.TV, a market leading b2b supplier to lotteries, casinos and gaming operators across the world has signed a new deal with Hollywoodbets. 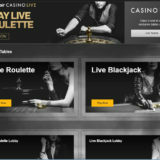 South Africa’s leading bookmaker brand has now become available, under licence, in the international marketplace, integrating the supplier’s full suite of live games into the Hollywoodbets international platform. Hollywoodbets is a well-loved brand, best known for its amazing sports betting and lotto product offering. Its sports betting site features a large variety of events and markets to bet on, with expert betting support both online and in-store. Players not only get the best odds, but also a superb customer service. 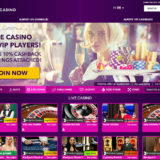 The deal means that all nine high-performance games from BetGames.TV portfolio, including Bet on Poker, Bet on Baccarat, War of Bets, Dice, Dice Duel, Wheel of Fortune and the lottery games Lucky 5, Lucky 6 and Lucky 7 are now available to Hollywoodbets’ customers. This integration will provide a new dimension to the brand with an extra level for the players’ online experience.